Plant training refers to techniques that are used to manipulate the shape and growth of your plants. 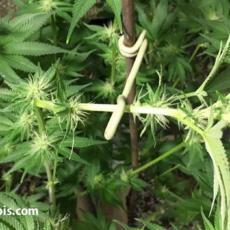 These range from Low-Stress training, which simply bends plants and ties them in new positions, to high stress training such as topping and fimming, which both require cutting off the precious growth tips on your plants. Many new growers are scared to train their plants properly because the practices often seem counter-intuitive. It can be hard to convince yourself that the best thing for your plant is to chop off the top, but often it is! There are many reasons to train plants. Training methods can control and manipulate the shape of plants. This in turn, can help improve many aspects of the plant such as health, performance and practicality. In this article we go over the major benefits of plant training and explain why you always want to train your plants. 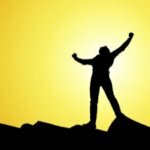 The number one reason why plant training is so effective is light. Training plants helps to spread the plant growth out horizontally which captures more light. Plants that are spread wide have a structure that efficiently utilizes as many photons as possible from the light source. This is important not just for indoors but for outdoors as well. Whether your grow is big or small, indoors or outdoors, training your plants can benefit their health and performance in most situations. Because we use valuable resources to generate light indoors, it is particularly important to capitalize on as much of that light as possible. Any light that does not get used for photosynthesis is wasted as heat through radiative and reflective losses and reduces the overall efficiency of your grow operation. So, it is in the best interest of the grower to make as much use as possible of this resource to provide the most beneficial use of our light sources. Horticulture lighting is typically static. Which means we can make the most of it, by training plants in ways that improve the ability to capture light from its fixed (overhead) position. This is done by training plants to grow out horizontally and fill in any unused space as much as possible. A short broad plant can capture much more energy from overhead lighting than a tall skinny plant. Training also allows you to maintain an even flat canopy. 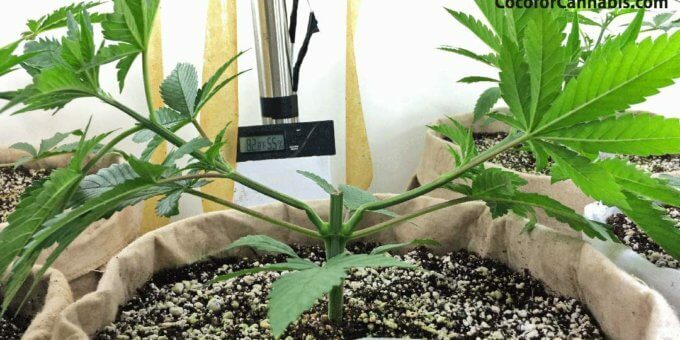 The lights always must stay a certain distance from the closest top, so if the tops are uneven, the lower growth gets less light than it could. Training plants to produce an even canopy allows you to use light most efficiently. You want to train plants to achieve a flat even canopy that is not too thin. Different light technologies provide different depths of penetration, and you want to take advantage of all of the light that is filtering through the top portions of your plants. However, at a certain point below the canopy the filtered light becomes of such low quality that it is better to remove the growth and “lollipop” your plants. It is often not realized, that plants grown outdoors benefit from plant training as well. The same factors that make plant training beneficial to indoor growers continue to apply in many ways to outdoor grows. Even though light travels across the horizon, there is still a benefit from training plants to improve their ability to capture and use the light. The brightest most intense sunlight occurs when the sun is directly overhead and thus training plants to be broad and wide serves the same function. Some orchards even take this to the extreme, by training crops into vines that are horizontally flat like a tabletop. Occupying as much free space with vines and making the most efficient use of the available light as possible. Training can also work to improve the efficiency of the branching structure, which helps develop a system which can move nutrients and water more efficiently and also reduce the number of physical branches required. The reduction in unnecessary branches means less energy is used for the development and maintenance of redundant material. Although we advise strongly against “defoliation”, or the indiscriminate removal of canopy leaves, removing leaves that are shaded out can be used to improve airflow. Pruning practices such as lollipopping and pruning, are recommended to improve airflow and help with humidity control. Reducing the leaves that do not receive any light allows space for increased air movement and reduces the water losses through transpiration. This is beneficial for the overall performance and health of the plants, as static air and high humidity’s create problems in these areas.